After a long and somewhat strenuous summer some cosmic relief is on the way this month as both Mercury and Mars are now moving in forward motion. Also, by the end of September both Saturn and Pluto end their retrograde cycles as well. This should feel like a much more productive month than July and August. One of the reason why the energy was so heavy was because of both Saturn and Pluto in Capricorn going in a backward motion, not only that, but both gas giants are on the same side of the Sun over the next few years and pulling immense energy from the earth in their direct making us feel off- kilter. Fortunately, our motivation increases by mid-month thanks to the industrious Virgo New Moon being positively aspected to both Jupiter and Pluto. This should help a lot with us rolling up our sleeves and getting the job done. Right around the same time, Mars re-enters Aquarius for the second time since its retrograde period. With the quick-witted planet now in Aquarius and moving forward, we will find greater inspiration through our thoughts and ideas about the future. Premonition may come at moment’s notice and thinking outside-of- the-box is the norm during this transit. Strength lies in fresh ideas and original plans; so use your time and energy wisely. As the month begins, the radiance Sun is now traveling through the hardworking sign of Virgo. On September 5th Mercury will enter Virgo as well ramping up our desire to perfect our lives. Mercury’s move into Virgo brings a period when we want to get down to work on those big ideas we had while it was in Leo. Mercury is the ruler of Virgo, and for good reason. Virgo is focused on figuring out how all the little pieces of the puzzle fit together. Since Virgo is an earth sign, the ideas that appear during this time do have at least one foot on the ground, so they tend to be useful and well thought out. Our only problem now is not to get so hung up on the details that we forget why we’re there in the first place. The following day, Saturn finally goes direct in Capricorn. Saturn went retrograde back in April of this year and during its reversal we were being asked to go within and discovery our true purpose and how we can achieve our goals. Saturn teaches us about the value of moderation and caution. 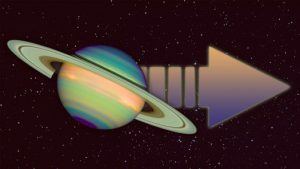 Saturn wants us to work hard, putting our energies into practical, useful, and meaningful projects, and to live in the here and now. Know that this period in your life, while temporary, is a time for learning about your personal limits as well as your inner strength. Carry these lessons as you move beyond this phase, because how you handle your life now will make all the difference the next chapter of your life. Our passions and desires increase tenfold on September 9th when Venus enters Scorpio. Venus in Scorpio is perhaps one of the most sensuous of all planetary placements. Here our Lady of Love is more than at home giving physical expression to her deeply felt emotions. To pet and be petted is an absolute requirement. Scorpio is a fixed water sign, so when our feelings of love get combined with that energy, you can expect a pretty permanent attachment. Total obsession is more like it. All is well as long as the object of our affections returns the feelings with the same level of intensity. If they slack off just a bit, those amorous attentions can just as easily turn into jealousy and resentment. Venus in Scorpio does not let go easily, physically or emotionally. Right about the same time on September 9th we have a New Moon in Virgo. 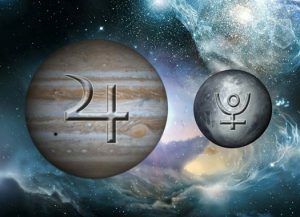 This New Moon will help us to uncover secrets and overcome our fears thanks to some powerful aspects to Jupiter and Pluto. Jupiter gives us the optimism to move forward and learn greater lessons, while Pluto transforms our thinking at a deeper level so we can adjust accordingly. Since this New Moon is in Virgo it will also remind us to focus our attention on health and/or a healthier life style. Virgo rules over our well being and we might find ourselves re-evaluating our diets and nutrition, or possibly taking up a new fitness regimen. Don’t be afraid to get out and flex those muscles! Our desire to break-free from limiting thoughts and ideas improves on September 10th when Mars enters Aquarius. Strength lies in fresh ideas and original plans during this transit. Traditional ways of thinking will only lead to more of the same — Mars in Aquarius is a time to identify what we want the future to look like, and to take active steps toward it. It’s not just about thinking outside the box, it’s about completely forgetting about the box. The only way to make things radically different is to act in radical ways. We’ll have plenty of motivation to do just that on September 12th when Jupiter sextiles Pluto. This transit usually brings success or a happier feeling through a positive change. We will not have to force change or react to unexpected changes. This is a natural development in our lives associated with increased power and influence, spiritual and personal growth, wealth creation and professional advancement. It will seem as if powerful forces are working behind the scenes to promote you to a higher level. Maybe you could get a promotion at work, better job opportunity, or maybe taking on a greater leadership role. The choice will be up to you; just don’t over think and procrastinate too long. Fairness and balance dominate our thinking on September 21st when Mercury enters harmoniousness Libra. Even though Libra represents relationships and beauty in our lives, she also is all about justice and judgment. During this transit having to choose one alternative over another becomes very troublesome. The thought of leaving something or someone out can be a bit frustrating. While Mercury is in Libra we’ll all be looking at both sides of everything to be sure we are doing the right thing. If you don’t expect to come to any conclusions in a hurry, you will get along better with the energy of this air sign. The next day, the Sun enters Libra on the day of the Autumnal Equinox, when the Sun is half way around the zodiac and the days and nights are equal. There is as much of the journey left as has already been traveled. We can look as far into the past as we can into the future. Libra, sign of the scales is all about weighing and balancing everything to insure equality and fairness. During this month, our efforts are focused on creating and maintaining harmony – in our surroundings, in our relationships, in our words and deeds. To that end, we avoid confrontations, we look at both sides of every issue, and above all, the colors have to match! This month’s Aries Full Moon on September 24th is also a Harvest Moon. As the word implies it’s a time for reaping what you sow, a conclusion or realization of our efforts. The Harvest Moon is the Full Moon nearest the start of fall or the Autumnal Equinox. This usually means it coincides with the September Full Moon, although it can also fall near the October Full Moon, occurring anywhere from two weeks before to two weeks after the equinox. For several evenings, the moonrise comes soon after sunset. This results in an abundance of bright moonlight early in the evening, which was a traditional aide to farmers and crews harvesting their summer-grown crops. Hence, it’s called the “Harvest” Moon! Since this lunation is in Aries we will find ourselves coming face-to-face with the real consequences of our decisions. On the very last day of month, September 30th, Pluto goes direct in Capricorn once again. Pluto turned retrograde on April, 22nd, showing us that a deep inner transformation is necessary, to find our place in society. Now, we must show what we’ve learned in these past five months and projecting a better public image. Sun 09° Capricorn 25' 00"
Moon 01° Scorpio 34' 10"
Mercury 22° Sagittarius 39' 14"
Venus 22° Scorpio 41' 21"
Mars 29° Pisces 22' 53"
Jupiter 11° Sagittarius 35' 46"
Saturn 11° Capricorn 16' 46"
Pluto 20° Capricorn 33' 57"